Carolina Grits. Traditional Stone ground. Whole grain. in white or yellow. Includes shipping in Cont U.S.
Return policy: Perishable product, no returns. Carolina Grits & Co and USDA developed and updated the CID for corn grits manufacturing methods. No SUPPLEMENTS are needed because the bran has not been removed. Cook the Carolina Grits® before you start to cook the shrimp. 1 1/2 cups of grits in 6 cups of water with 1 tsp of salt. For creamier grits, you may use a combination of milk and water – stir often. No Butter until done. Keep warm. thin with stock or water. We ship worldwide. Please contact us for more info. 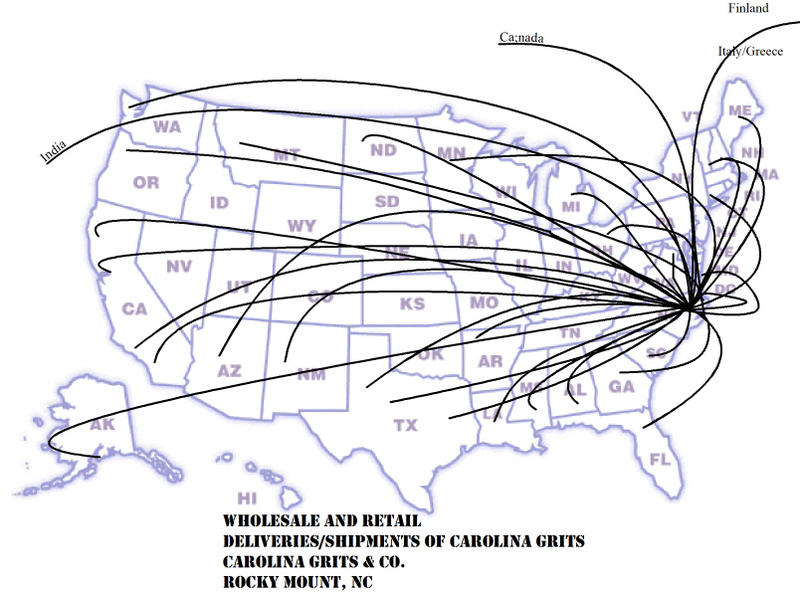 CAROLINA GRITS IS A REGISTERED TRADEMARK OF THE CAROLINA GRITS & CO.